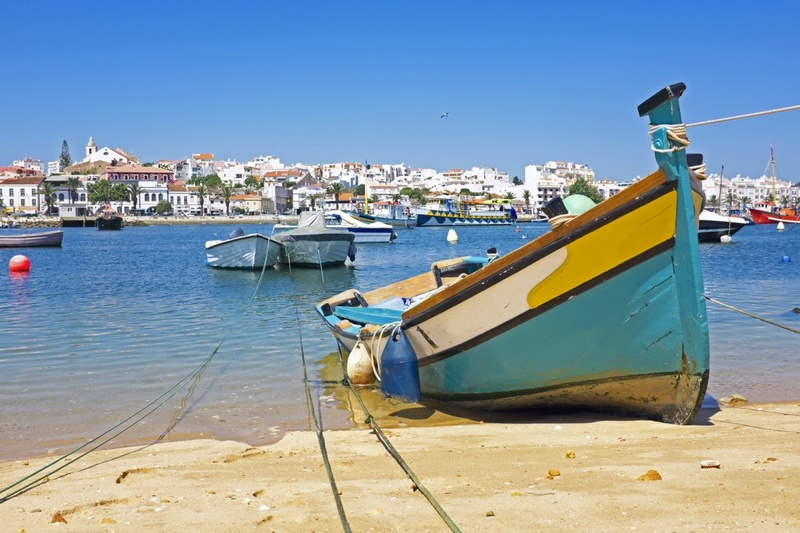 Lagos is a town and tourist resort in Western Algarve, full of rich history and interesting monuments. A fascinating fact which sets Lagos apart from the rest of the Algarve is that, in the 15th Century, Lagos was the base for the ‘voyages of the Discoveries’. Trade between Portugal and Africa presented a great deal of wealth upon the town, which can still be seen today. There are many areas in the town, and the older part is actually surrounded by the city walls which were constructed back in the 16th Century. If you’re interested in history and museums, Lagos is the perfect Algarvian destination for you. The lively part of the town is considered to be the main square, which is called ‘Praca de Gil Eanes’. This is where most of the evening entertainment takes place during high season – there has been lots of live music and even a Medieval fair! There are many unique bars and restaurants in this area, and one with a distinctly different feel is The Garden Bar & Grill, which is an outdoor restaurant with its own unique dishes, where visitors can eat the best food and sample the best cocktails from the comfort of a sofa or a hammock. For something a little more traditional, try the Portuguese restaurant that is ‘Pouso do Infante’, which provides visitors with cheap prices, good-quality, Portuguese cuisine and a friendly, relaxed atmosphere. Lagos is also great for its nightlife; like many places in the Algarve there really is something to suit everyone. Choose from a selection of exotic fishbowls (which are surprisingly quite difficult to find in Portugal!) at InsideOut Bar, or take advantage of the 2 for 1 cocktails at RedEye Bar. If you’d prefer a more laid-back bar with a sophisticated vibe, Rosko’s is a great option, with its seating booths and chill-out music giving visitors the chance to chat and relax. However you choose to spend your holiday in Lagos, you’re guaranteed to have a brilliant time. With friendly, welcoming locals and a lively but laid-back atmosphere, you’re sure to feel right at home from the moment you arrive. Find information about selected Hotels, apartments and rooms in Lagos to choose the perfect place for your accommodation.